I work with my clients to create a happy, healthy life in a way that is flexible, fun and rewarding. Together we’ll work to reach your health goals in areas such as achieving optimal weight, reducing food cravings, increasing sleep, and maximizing energy. As we work together, you’ll develop a deeper understanding of the food and lifestyle choices that work best for you and implement lasting changes that will improve your energy, balance and health. Master Your Energy & Mindset, Align Your Vision With Your Higher Self, Define Your Personal Strategy to Manifest Your Own Specific Vision And Goals, Increase Your Skills and Optimize Your Health! With the Lifestyle Awakening 7 steps Health Coaching Program you will learn in a structured way how to change your mindset & adapt better health by obtaining a step-by-step structured educational training program and personal health coaching on how to incorporate a new holistic lifestyle. It will provide you with the education about a plant based lifestyle and how to have better relationship with yourself and food. It’s rare for anyone to take time to explore their wellness goals with a trained professional. 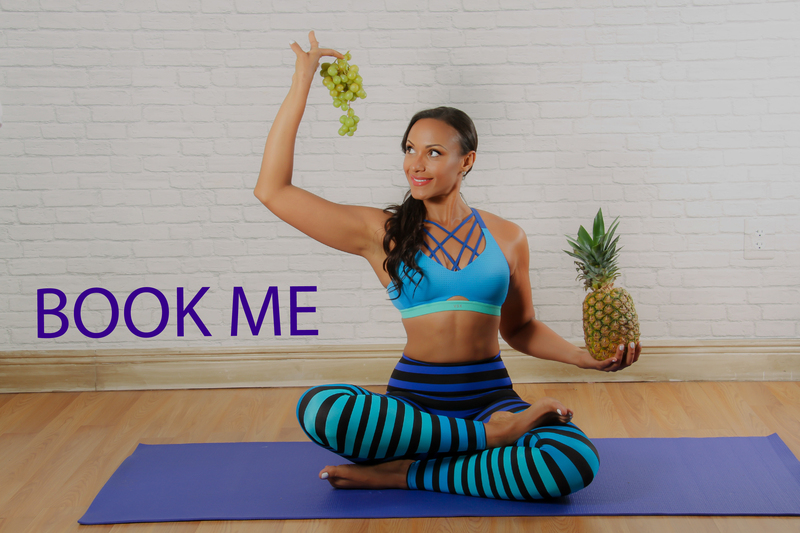 As a Certified Holistic Health and Lifestyle Coach, I create a supportive environment that enables you to articulate and achieve your goals. Most approaches to healthy eating dwell on calories, carbohydrates, fats, and proteins. Instead of creating lists of restrictions, limitations and resistance, we will focus on how to change your thoughts and implement gradual changes that will bring back health, life and happiness. We will work on what you want to improve, and within the circumstances of your unique situation. We will talk about things beyond food, seeking to bring balance to important elements of your life such as love and relationship as well as career and money. I will personally and carefully guide you to make simple, small changes that transform your life. You’ll be able to connect the dots between who you are and who you want to be. You’ll be able to create your personal blueprint, learn about how the mind and body connects, learn how foods plays a vital role in this connection and learn true healthier plant based options that will benefit your mind, body and soul in a fun and interactive way. You will be left feeling empowered, knowledgeable, supported and guided towards the new lifestyle that you dream of. 21 Online Modules & Courses about: The Mind, Body, Food, Spirituality, Relationships, Finances and Lifestyle. Schedule a free consultation with me today to learn more! As a holistic health and wellness coach, I enjoy to partner up with other like-minded individuals, products and companies to help spread the word of health, happiness and wellness. I’d love to hear more about your product, company or idea to advocate, encourage, and spread the life of wellness to everyone if I resonate and connect with it. Want to become an Online Entrepreneur? Contact us! It’s time to take care of your health now!.